Published March 26, 2018 at 6000 × 3376 in Ollezy war memorial. Brian McStea, the great-grandson of Sergeant James Hughes DCM, MM at Ollezy war memorial. Read about the men commemorated on the memorial here. Fantastic research, thank you for doing this. It was thanks to your research and help I was able to visit the village my Great Grandfather died, 100 years to the very day. 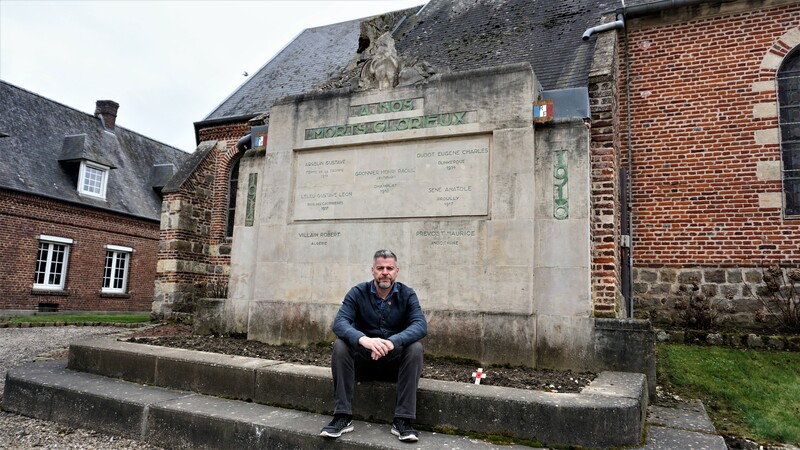 I sat there in that beautiful little village and reflected on what we owe these brave men. My pleasure – our sharing of this family history is why I do what I do. Thanks for getting in touch.